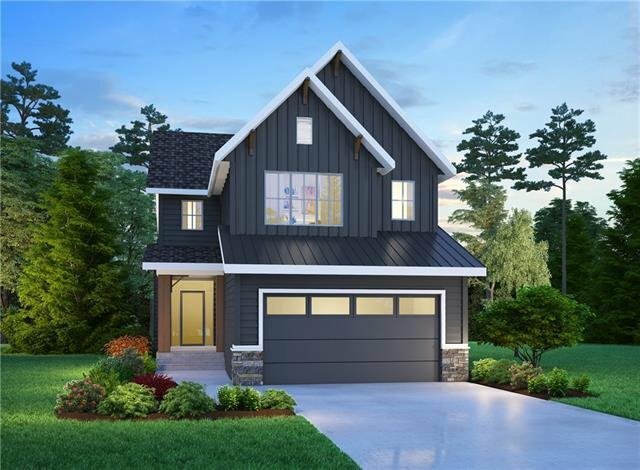 The Sutton Modern Farmhouse plan is a breath of fresh air from award winning builder Crystal Creek Homes! This amazing plan sits on an OVERSIZED lot with loads of room for the kids to play in the yard. Main floor sprawls with vinyl plank flooring, a cozy fireplace in the great room and a custom kitchen complete with stainless appliances, quartz countertops and a walkthrough pantry. Upper floor boasts 3 good sized rooms, 2 full bathrooms, laundry room, tech space and a central bonusroom perfect for those movie nights. Master suite feels like just that a suite with double vanity, separate stand alone tub and shower and a closet that you just need to see to appreciate. Central Air Conditioning, Deck and SOLAR PANELS to help with those power bills make this a unique and amazing family home. Did we mention the Huge Oversized Lot this house sits on perfect for the family soccer games. Value, Value, Value in this unprecedented community makes this a great opportunity, call today for more information!! !